Boar bristles are strong and resilient and have a natural stiffness that means that they brush the hair thoroughly, yet don't pull as they are drawn through it. The bristles have microscopic scales that release and drag the sebum (natural oil) that is produced in the scalp, distributing it along the hair, making it shiny and healthy looking. Boar bristles also keep the hair clean as the scales pick up dirt and excess oils as they go through the hair. 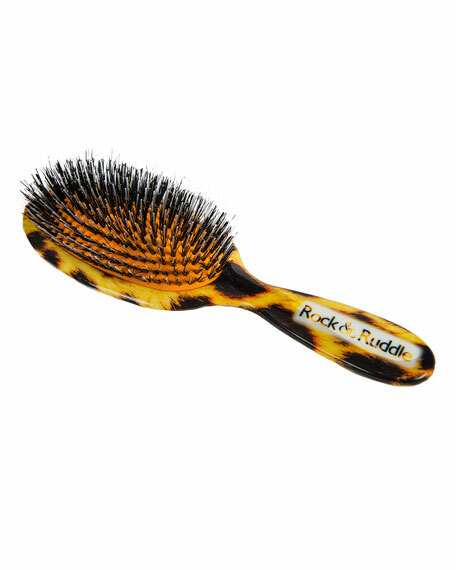 These mixed bristle brushes contain one nylon tip per bristle bundle to thoroughly but gently brush the hair. For all hair types, great for detangling thick hair. 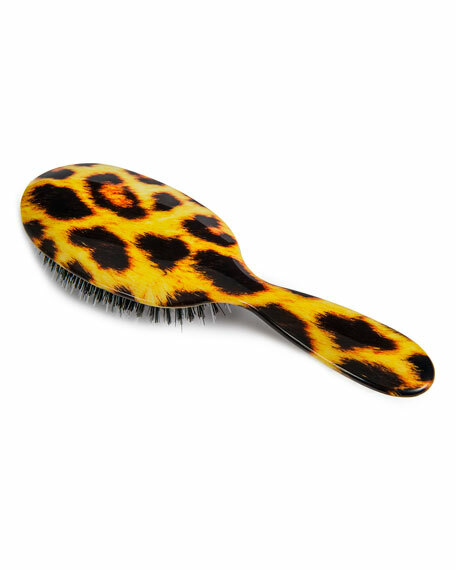 Caring for your brush: Firstly, gently remove any hair from the brush and bristles. Wash the bristles by dipping them in warm, soapy water. Carefully rinse with cold water and towel dry to remove and soak up any excess water. The bristle pad may be removed for thorough cleaning and then clicked back into the brush back. Avoid submerging the whole brush. For in-store inquiries, use sku #1814700.